I am so excited to welcome Amy from Club Narwhal. I fell in love with Amy’s recipes and photography when I found her on Google+. Her photos show all of the detail and gorgeous color of her food making you want to reach into the screen and grab a bite. 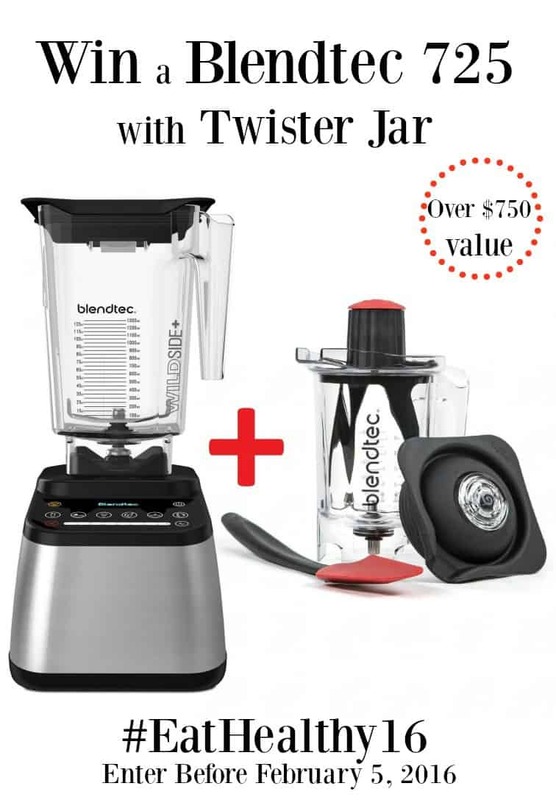 Be sure to stop by and enter to win the Blendtec 725 Blender that she is giving away! As well as check out Cupcakes & Kale Chips for some Healthy Snacks or Love Bakes Good Cakes for some Healthy Meal Ideas for our #EatHealthy16 Series. I’m so excited to help Jenny kick off the New Year with this simple (and healthy!) 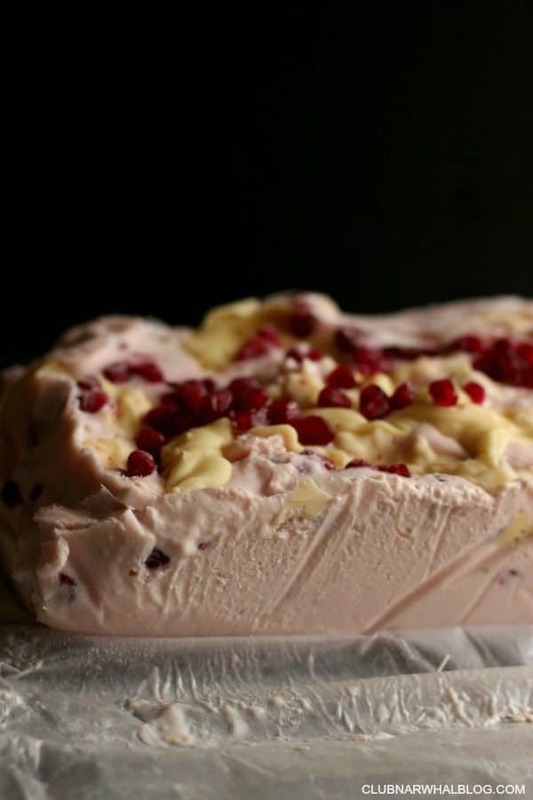 Pomegranate Frozen Yogurt with White Chocolate! Last year I shared one of my favorite appetizers, Skinny Texas Cheese Fries, and this year I’m bringing that skinny magic to this delectable dessert. A few years ago my husband and I visited his sister’s charming little town. We walked up and down Main Street oohing and aahing at all the cute shops. Since we were with his sister’s kiddos, we decided to make a pit stop at the local frozen yogurt shop, which is where pomegranate frozen yogurt first caught our attention. That little yogurt shop sure knew how to reel us in–the pomegranate brought just the right bit of sweetness to the tangy yogurt and of course we sprinkled fresh pomegranate seeds on top to give it an even bigger boost or pommy flavor. Every time we go to a frozen yogurt place we always keep our eyes out for pomegranate. But, alas, we always seem to miss it! Since we are a little bit obsessed with making homemade ice cream (this Easy No Churn Monster Ice Cream is a recent favorite), we thought why not give it a spin at home? 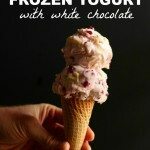 Friends, it is well worth the little extra effort to make this frozen yogurt at home! And if making homemade frozen yogurt makes you nervous, never fear: if you can mix ingredients in a bowl, you can make this! 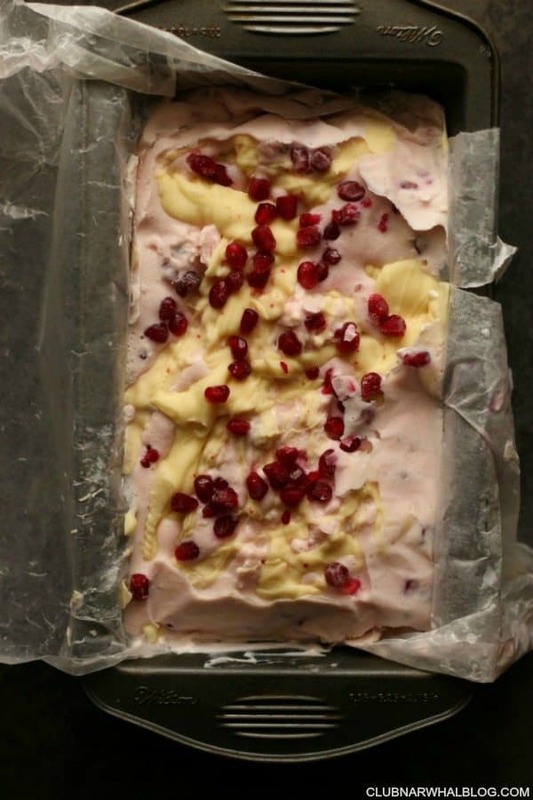 We added a layer of melted white chocolate because pomegranate + white chocolate = made for each other. I love the crunchy dimension and smooth sweetness it brings to the yogurt. 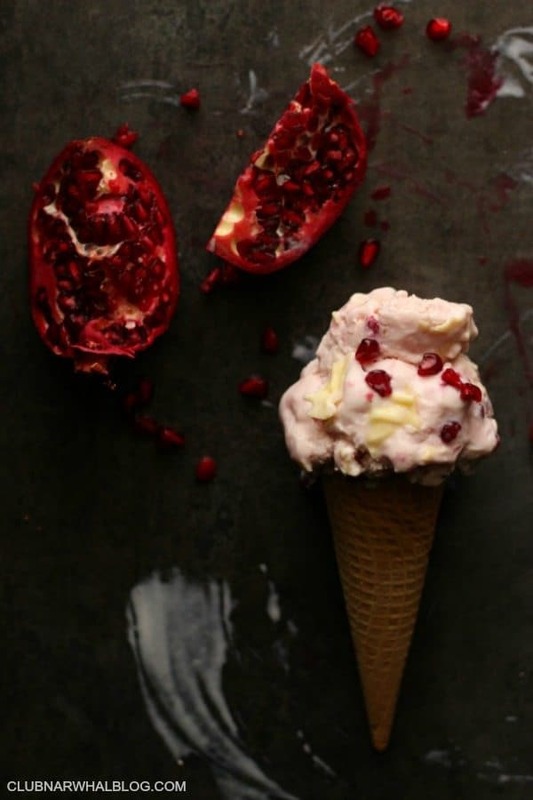 We also stirred in fresh pomegranate seeds and they burst in your mouth when you’re eating a scoop. It makes it so much fun to eat! While you are certainly welcome to use a yogurt with a lower fat content, using whole milk brings just the right creaminess to the party! I used to give whole milk the shaft since I grew up on nonfat, but as I’ve grown older, I’ve come to understand that whole milk in moderation can be part of a well balanced diet. This is the perfect treat to eat after a healthy dinner–our favorite lately is Crunchy Breaded Salmon with Greek Yogurt. What healthy treats are you whipping up this year? Whisk yogurt and sugar in a large bowl until sugar is dissolved. Add pomegranate juice, lime zest and juice, and salt; stir to combine. 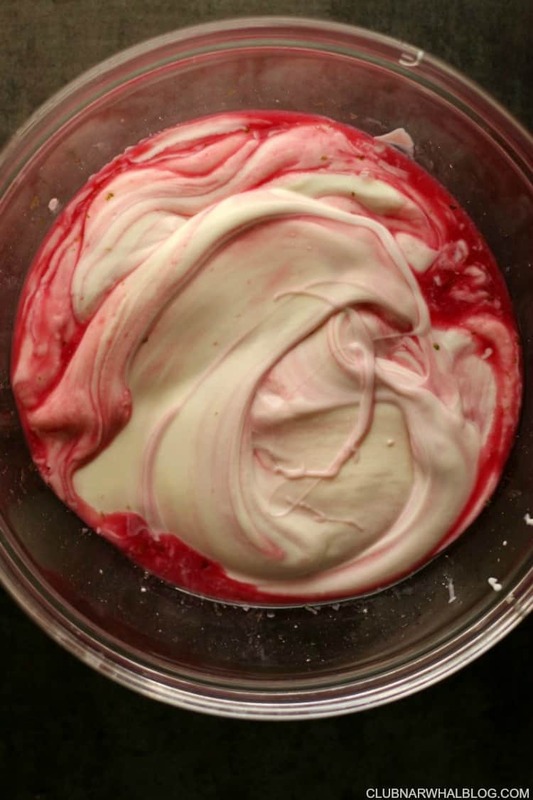 Transfer frozen yogurt base to an ice cream maker and process according to the machine's directions. About halfway through, add 3/4 of the pomegranate seeds. Line a bread pan with parchment paper and use a rubber spatula to pour 1/3 of the frozen yogurt in. Drizzle 1/3 of the melted white chocolate. 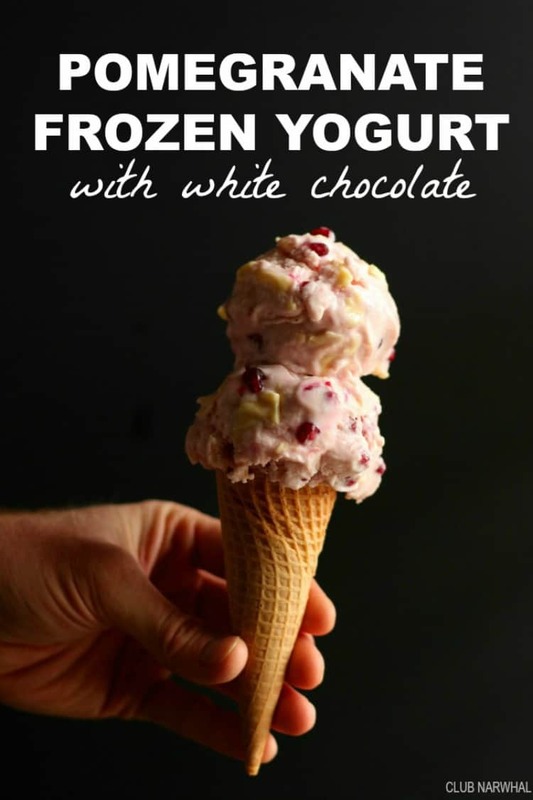 Repeat with the remaining 2/3 frozen yogurt, ending on a layer of white chocolate. Sprinkle the remaining pomegranate seeds on top. Freeze for at least 4 hours. Leave on counter to thaw for 10-15 minutes before serving. Hehe, just saw your comment on my FB as I was leaving this comment. This special dessert from Amy is simply perfect – easy, healthy and delicious – what more could you ask for! Beautiful photos as always, Amy! And great prize, Jenny!